Under the Big Oak Tree: Don't forget to enter our Summer Giveaways! Did you know that we're hosting 2 food-related giveaways this month? If you're a foodie like me, you're going to want to enter for your chance to win! It's easy to enter...just follow the links below to find out how! First we have our Aurora Natural Original Salad Fixin's giveaway! I'm super-excited about this giveaway since it's one of my all-time favorite products! 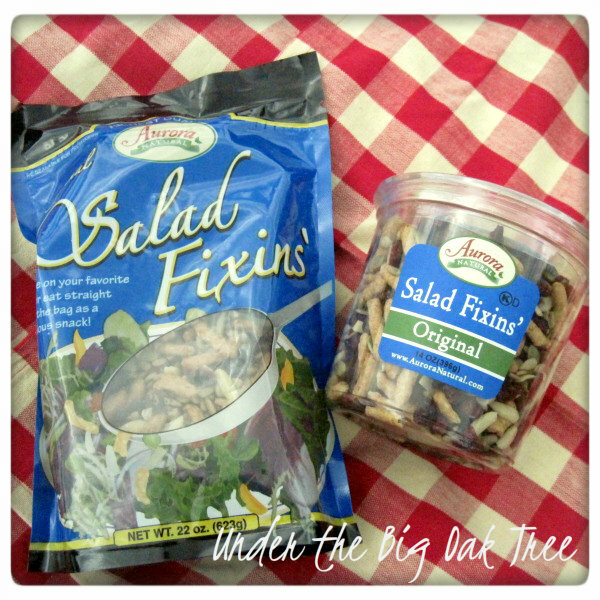 Follow the link to be directed to the giveaway page for these awesome salad toppings! 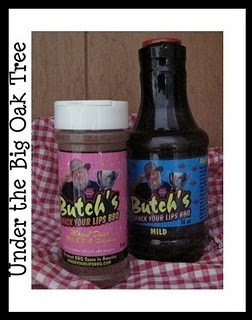 Also, we are running another giveaway for Butch's Smack Your Lips BBQ Sauce and Dry Rub. Our family loves BBQ sauce and Butch's products are at the top of our list of favorites! Follow this link to find out how you an enter to win a bottle of sauce and jar of dry rub (your choice of flavors)!